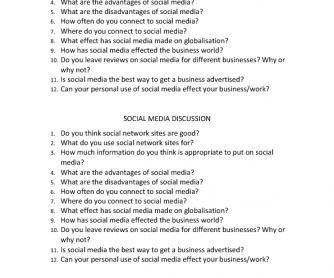 This is a list of discussion questions about the use of social media and its connection with business. 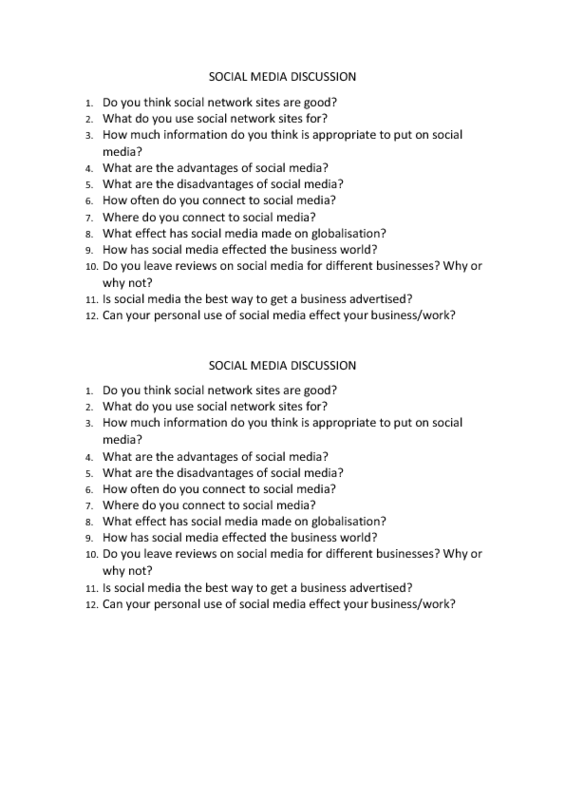 It's a nice way for students to think about the topics of social media and globalisation together. You can use it as a warm up or to check understanding.